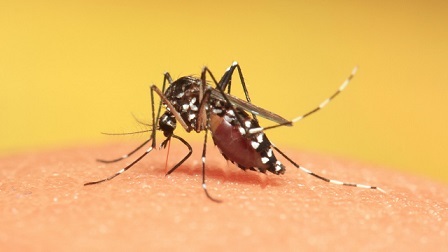 The Health Department of East Siang district in Arunachal Pradesh bordering to Assam has scripted a success story in preventing re-occurrence of dengue and Japanese Encephalitis (JE), which created panic among the local residents two year ago. The vector-borne disease is on the recession for the last couple of years, thanks to the untiring efforts of the Health Department of East Siang district. As such, malaria cases have significantly reduced after special preventive measures initiated by the Health Department. District Medical Officer (DMO) of East Siang, Dr Mandip Perme, informed that his department has taken all-out efforts to prevent the two fetal diseases through massive ‘source reduction’ and organizing ‘awareness campaign’ among urban dwellers. Besides, the doctors and other health workers have been asked to keep strict vigil on any conveyance of dengue by people from outside, he added. “We have taken all preventive measures to contain recurrence of dengue and malaria in the district. A series of awareness meetings in and around Pasighat and its suburban areas were conducted where the local residents were made aware about the causes of dengue, malaria and JE and its preventive measures and the response is massive,” said Dr Perme adding that they laid stress on destruction of mosquito breeding sites as primary preventive measure. The DMO further informed that source reduction activities were initially carried out within Pasighat Municipal area which was gradually extended to all rural areas of Mebo, Koyu-Korang, Ruksin and Nari block at inter-State boundary. The doctors suggested the urban dwellers and villagers to treat stagnant waters with medicines (Temephose) to kill mosquito larvae and conduct source reduction activities in their localities frequently as chemical fogging was not effective to kill mosquito larvae survived in muddy water. It may be recalled that dengue was first reported in East Siang in 2012 when about 223 people were infected with the fetal disease. After a year’s pause in 2013, the disease broke out again in 2014 as 27 dengue positive cases were reported in the district hospitals. The disease again broke out in epidemic form in 2015 thereby creating panic among local residents. Notably, as many as 1,725 dengue positive cases out of 6663 blood serum samples tested were reported in that single year. However, the number of dengue cases declined to 10 in 2016 after massive fogging operation and source reduction carried out by the Health Department.